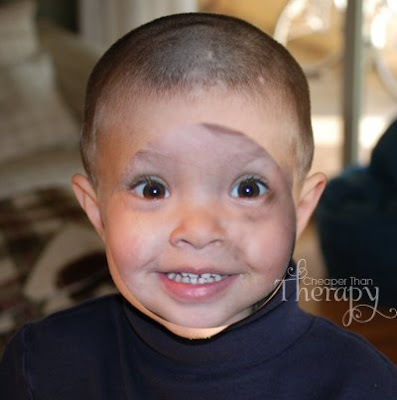 This is my little nephew B. I think he wanted to see how he'd look with a cut similar to My Boy's, but was caught before he could hurt himself! With that damage, they had to buzz him all the way. What do you think? I think he looks handsome! But, this scares the daylights out of me. This toddler/preschooler rite of passage. DQ tried this when she was little. Got a couple strands, no biggie. 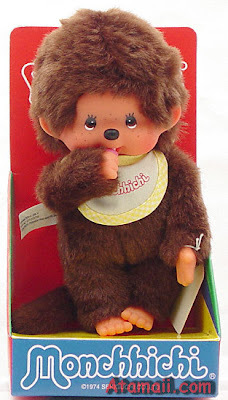 My Boy's hair has been shaved short since about 2.5 since he resembles a Monchhichi in full grow out. But, you've seen K's hair. So full of body (tangles). 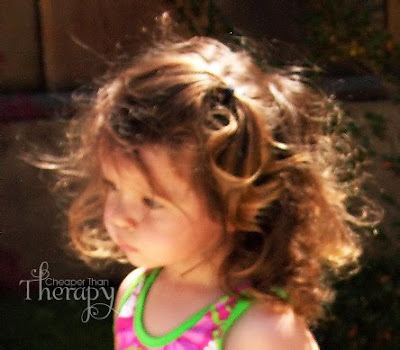 Those curls (knots). Could you imagine? Cute, yes. But, she's a girl!! I need to go hide the scissors. Monchichi's rock! I said something about them yesterday and LMNOB was like, "Whaaaaaaa?" Never heard of a Monchichi...pretty freaky looking. 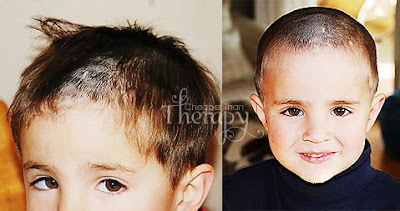 Nice haircut, what type of scissors did he use? My son used manicure scissors & I have a friend whose daughter used plastic safety ones. Great photos! Jen, that's awesome! We've had some weird run-ins with the scissors here too. Glad that's over (I hope).